With the aid of sophisticated technology, we are able to manufacture and supply a wide gamut of Slat Conveyors that are extensively used in various applications in different industries. Manufactured by our experienced professionals in adherence to industry quality standards, we allow easy adjustments of the height of the slats as per the requirements of the clients. Owing to their longer service life, precision precision functioning and robust construction, these products are highly appreciated by the clients. 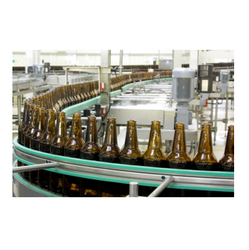 Owing to the sound industry experience, we have been successful in catering to the requirements of our esteemed clients by offering quality Slat Conveyor (Bottle Conveyors). These simple and robust construction with one-piece longitudinal chain tensioning system, which are appreciated in the market for easy operation. Moreover, the height of slat conveyors can be easily adjusted as per the requirements of the clients. The offered conveyors are widely appreciated among the customers for their features such as precision functioning and longer service life. We are a prominent manufacturer, exporter, and wholesaler of an extensive range of superior quality Bottle Slat Conveyors. Our offered conveyors are widely used for loading and unloading boxes, bags, bottles and automobile components. Available in various specifications in terms of types, sizes and speeds, these can be customized as per the clients' requirements. These conveyors are simple and robust in construction with one-piece longitudinal chain tensioning system. 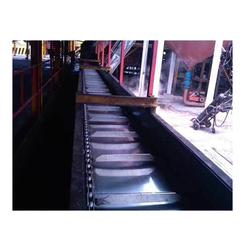 Moreover, our offered conveyors can be adjusted by the customers as per the required height.